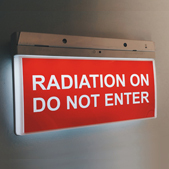 The experts in radiation shielding products. 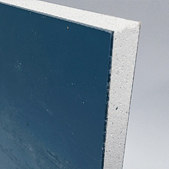 Radiation Sevices Australia can supply a wide variety of lead lined substrate to suit any wall or ceiling application for your project. 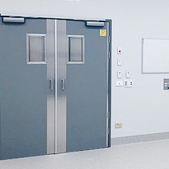 Radiation Services Australia are specialist manufacturers of commercial grade lead lined doors. Quality assured and tested. Optimum protection & visual transparency. Radiation Services Australia is the national distributor of the German made Schott AG RD 50® Lead equivalent glass. Mobile or Fixed Radiation Screen Solutions. 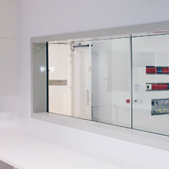 Radiation Services Australia can supply pre-fabricated radiation screens. 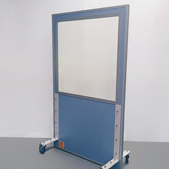 We have a range of standard screen types and can also custom make to suit your specifications. Protect the health and safety of your personnel. 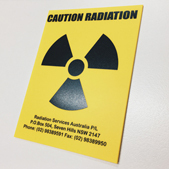 Radiation Services Australia can supply Caution Radiation Signs which are required to be fitted to entry doors to a radiation room. Protect yourself with cutting edge components. Specialised High Engery Shielding Systems. 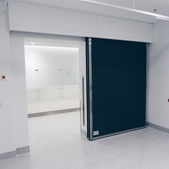 Radiation Services Australia are the only manufacturer of specialised Neutron and High Energy Shielded Door systems in Australia.